The Erythrina bidwillii has extraordinary flower spikes. These flower pillars can be several feet in length. 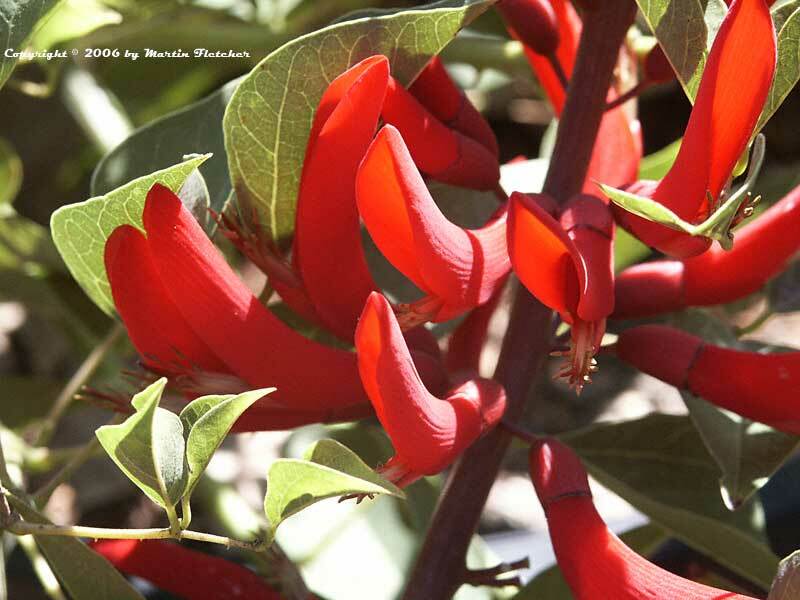 Erythrina bidwilli is one of the smaller Coral trees, growing 10-12 feet tall and a little wider than its height. The Coral Bean tree is deciduous but will bloom whenever it is growing. Flowers are produced Spring through late Fall. This plant is the result of a cross between Erythrina crista-galli and Erythrina herbacea. Erythrina bidwillii is one of most winter tolerant of the Coral trees surviving winter temperatures as low as 20° F and surviving from the roots below that. As is the case with most Erythrina species Erythrina bidwillii is tolerant of quite a lot of drought once established. Red flowers of Erythrina bidwillii - Coral Bean Tree. High resolution photos are part of our garden image collection.